Keeya was found by a road in Hanover County in September 2013. When she was first admitted, Keeya was extremely thin and dehydrated -- she had been unable to hunt and care for herself for several days. Radiographs revealed two fractures in her right wing – both the radius and ulna were fractured. Both fractures were close to the hawk’s joints, and WCV vets could not pin the broken bones in surgery. Keeya also had an injury to her left eye, leaving her with a significant blind spot. Keeya became an education bird in 2014, though never really settled into her job; despite continued training, Keeya remained fairly nervous in front of people. In the summer of 2016, Keeya took on new responsibilities -- she served as a surrogate to several young Red-shouldered Hawks. 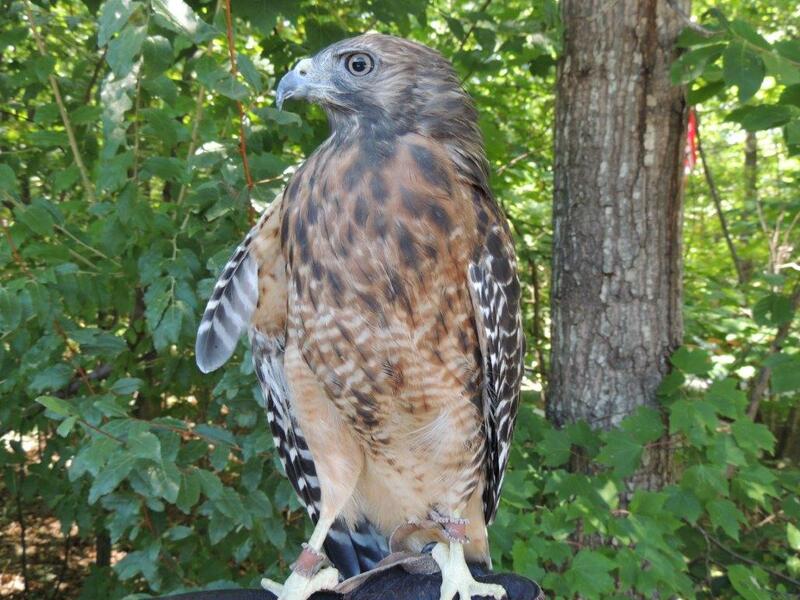 In this role, Keeya helps keep young hawks wild as they develop natural hawk behaviors.